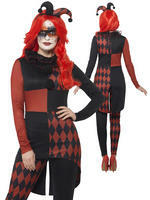 Transform yourself into an Evil Jester with this Ladies Horror Harlequin Costume? 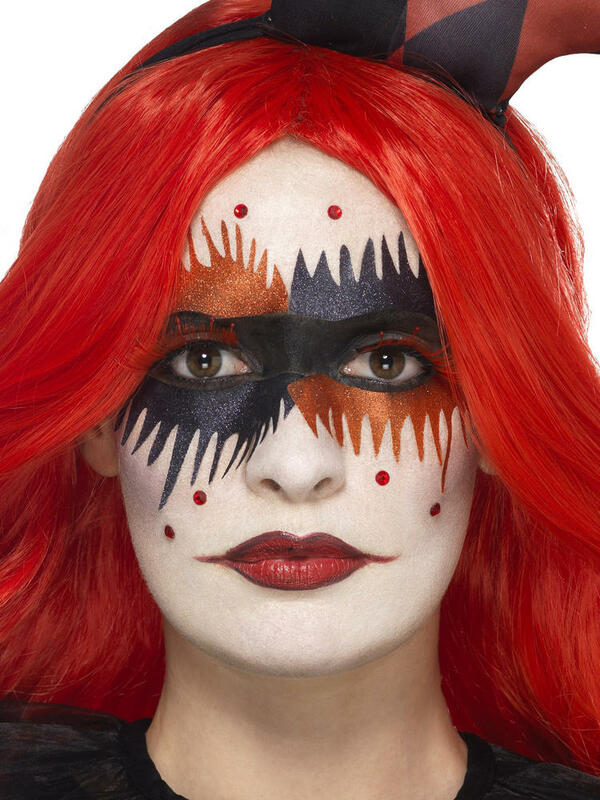 Ideal if you are dressing up for Halloween! Includes a red and black long sleeved jumpsuit which has been designed to look like a tail coat and trousers. 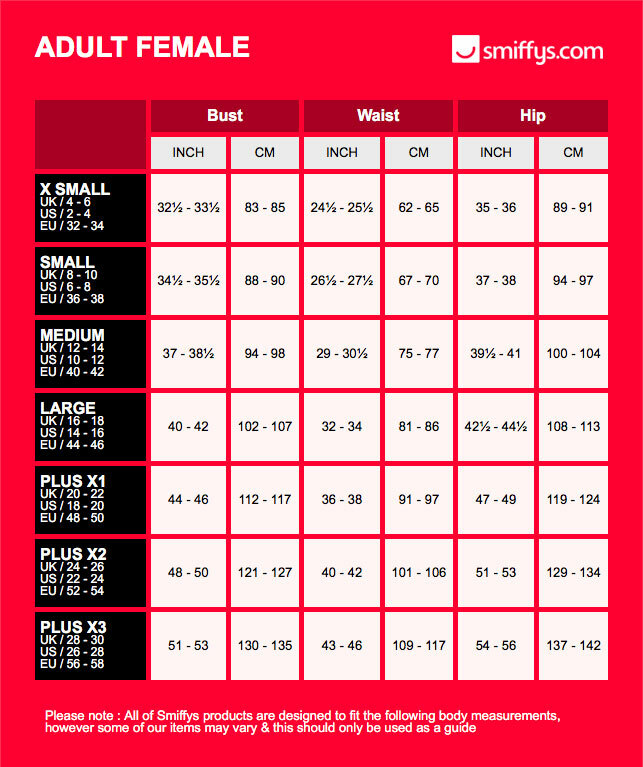 This jumpsuit fastens at the back with a zip. 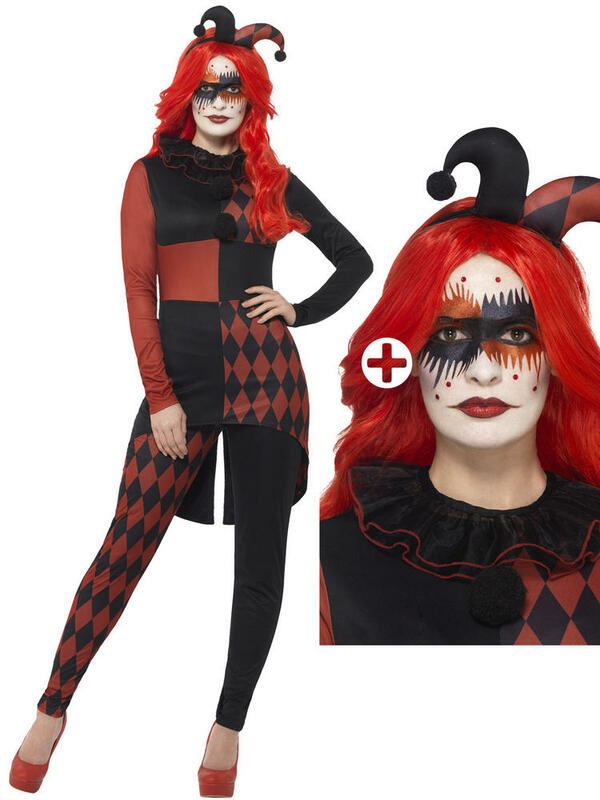 To complete the outfit is a net ruffle collar and a red and black jester headpiece.